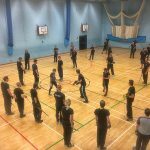 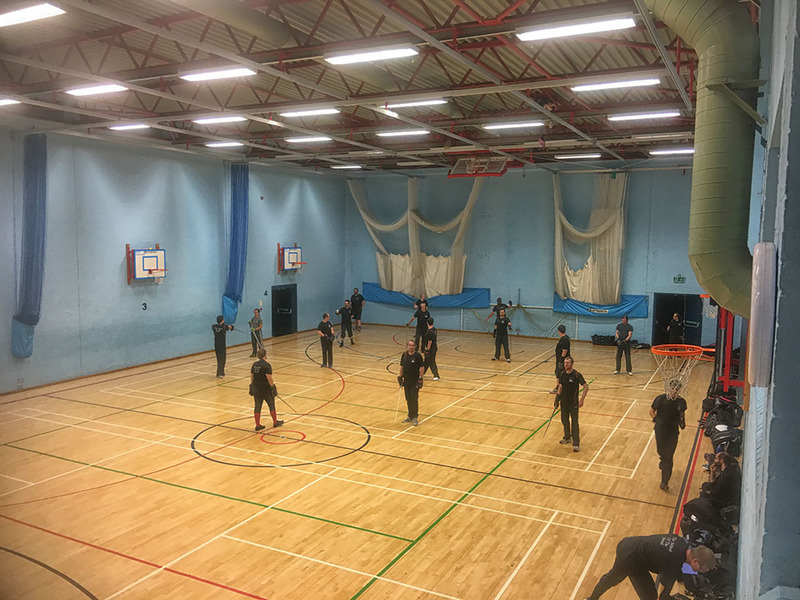 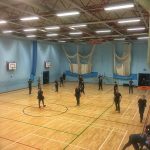 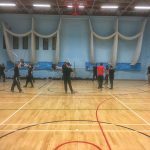 Students turned up on Monday night for our regular training session in Reading. 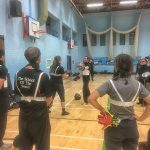 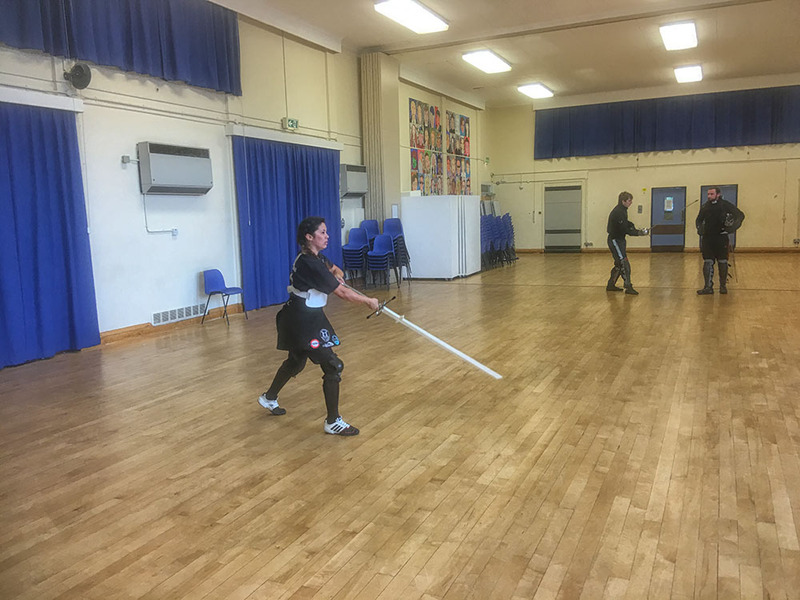 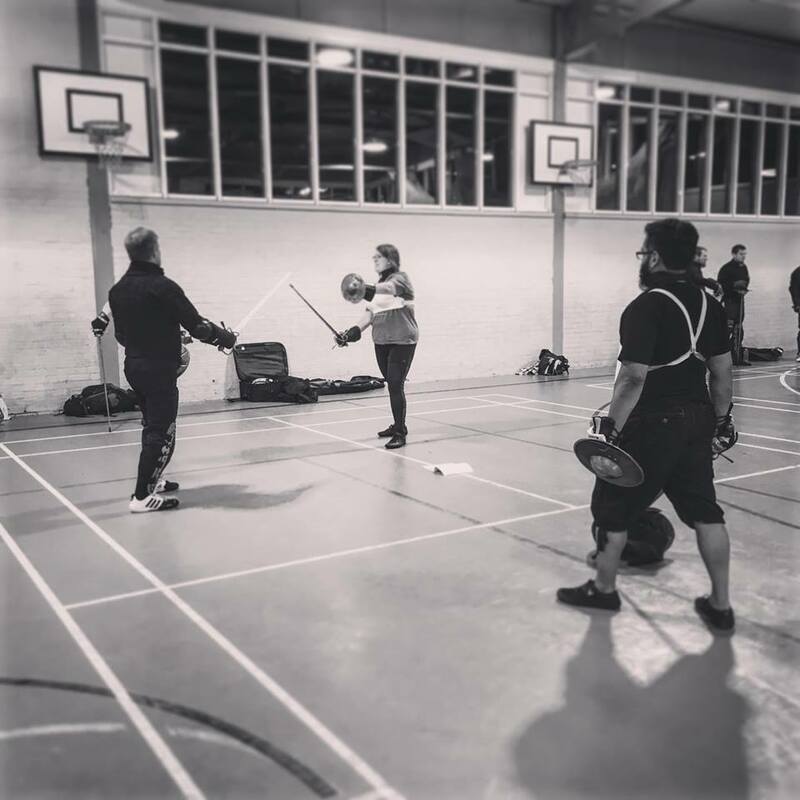 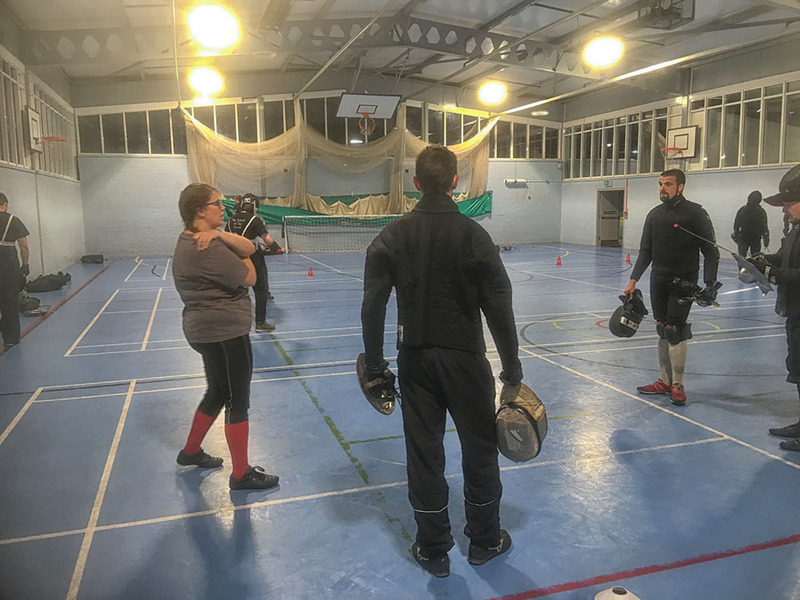 Pim continued his work with the rapier & dagger teaching stream on tactics, Matt and James took the students in our beginners course through the foundations of swordplay and Lizzie continued her work in the Bolognese stream on attacks from Manciolino. 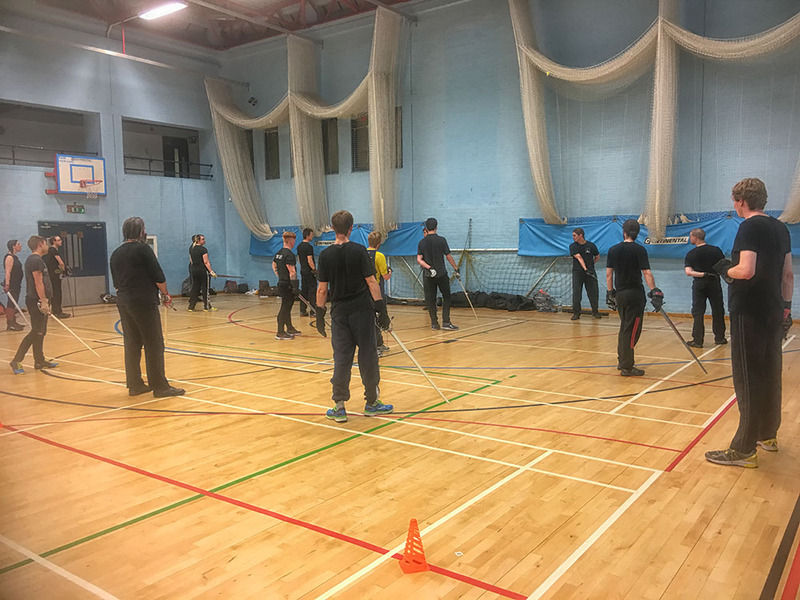 It was another busy night at Godalming last Wednesday with three streams of training. 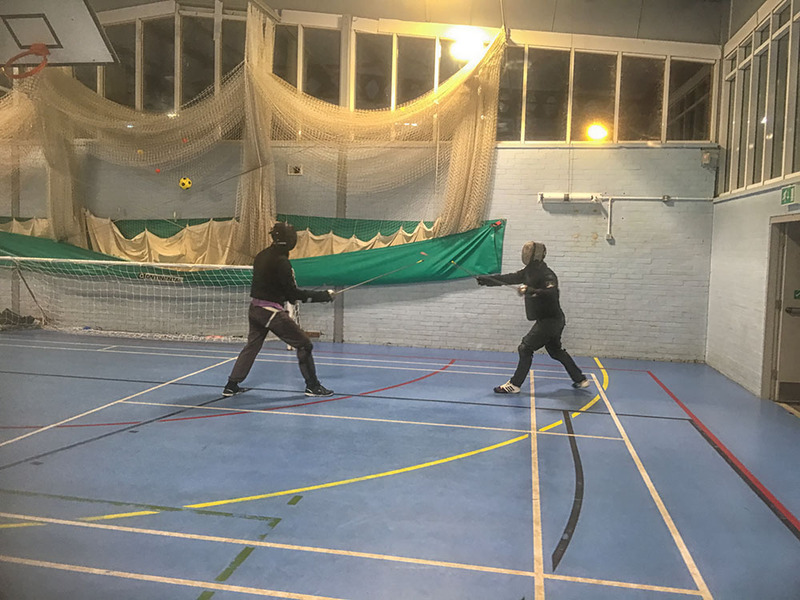 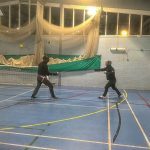 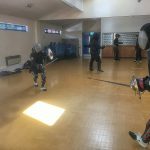 Fran worked with the beginners on the foundations of swordplay whilst Lizzie took the Bolognese group through attacks from Manciolino, and Pim continued his work on tactics in rapier & dagger. 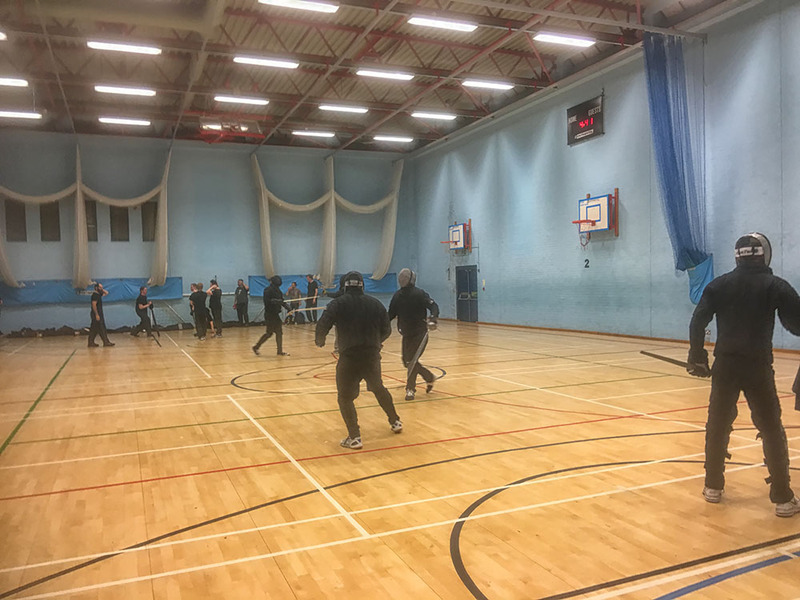 A good turnout at Reading on Monday night with the sports hall packed with practitioners of all levels. 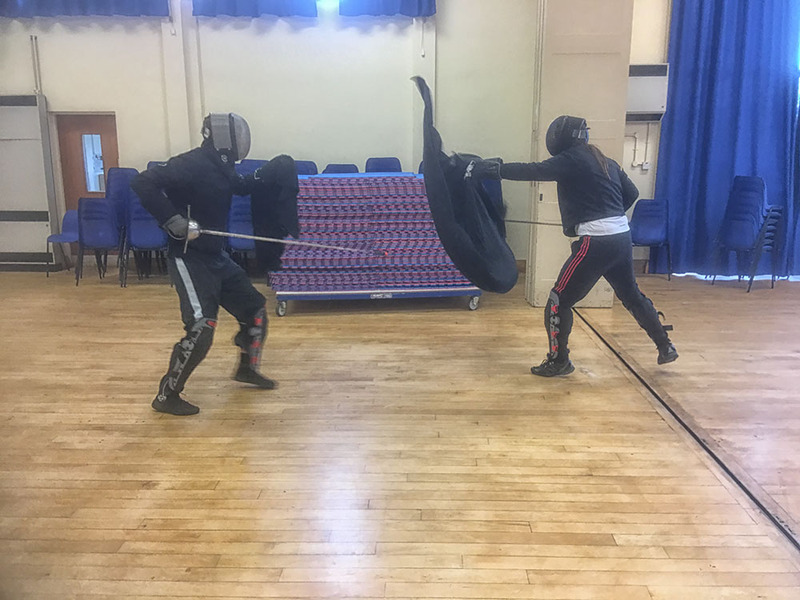 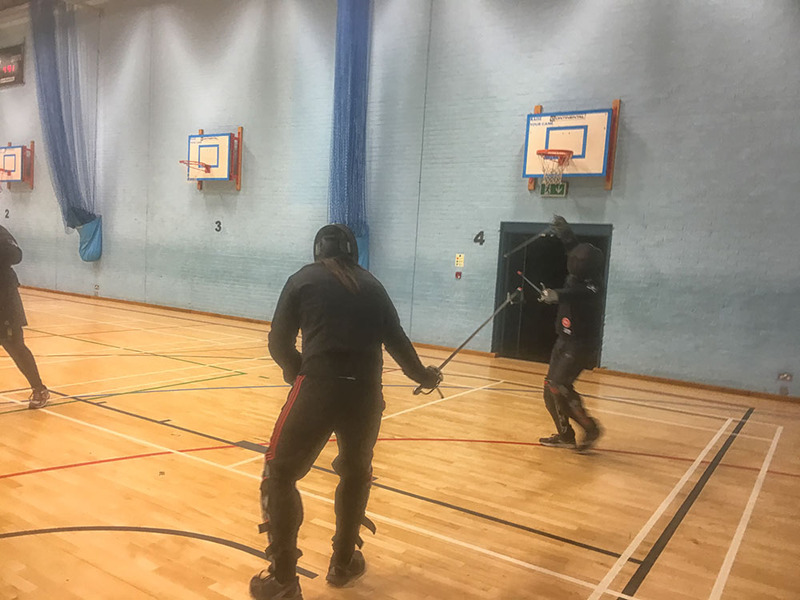 Lizzie continued her work in the Bolognese stream on attacks from Manciolino, the rapier & dagger teaching stream were taken through counter-posture by Pim, and Matt and James continued to work with our recent intake of beginners. 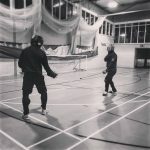 Sunday Sparring went to Godalming this past weekend as students from both our Reading and Godalming salles met up to put in a bit of extra sparring time and try to put into practise techniques learnt at our training sessions. 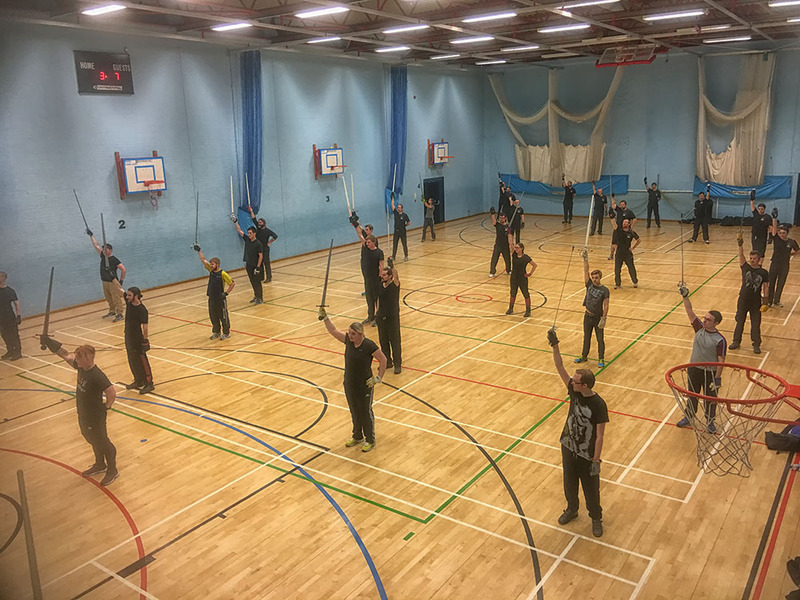 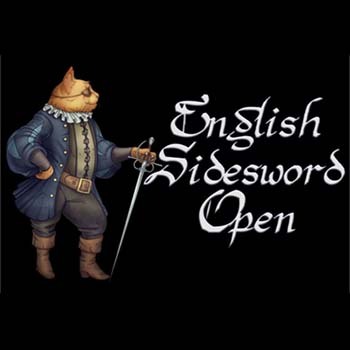 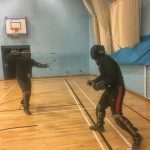 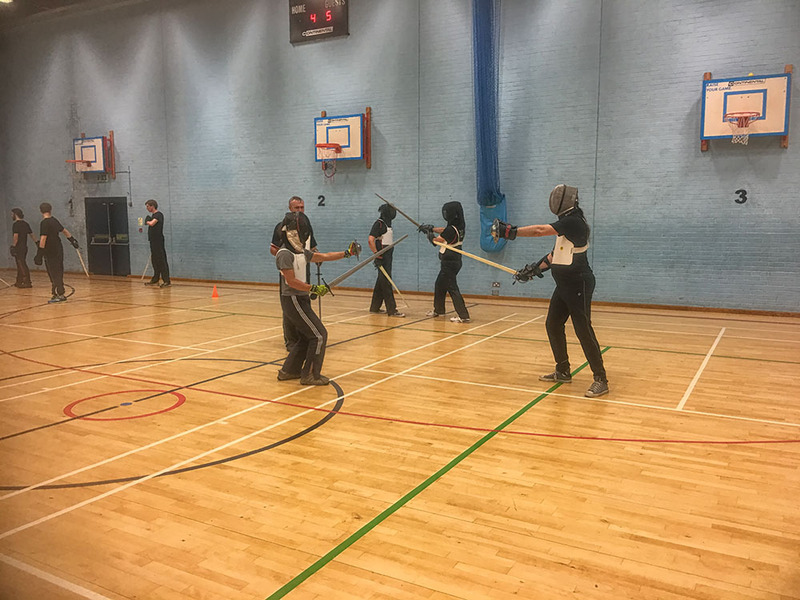 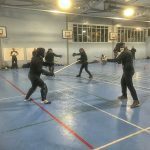 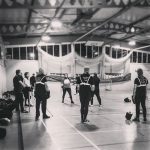 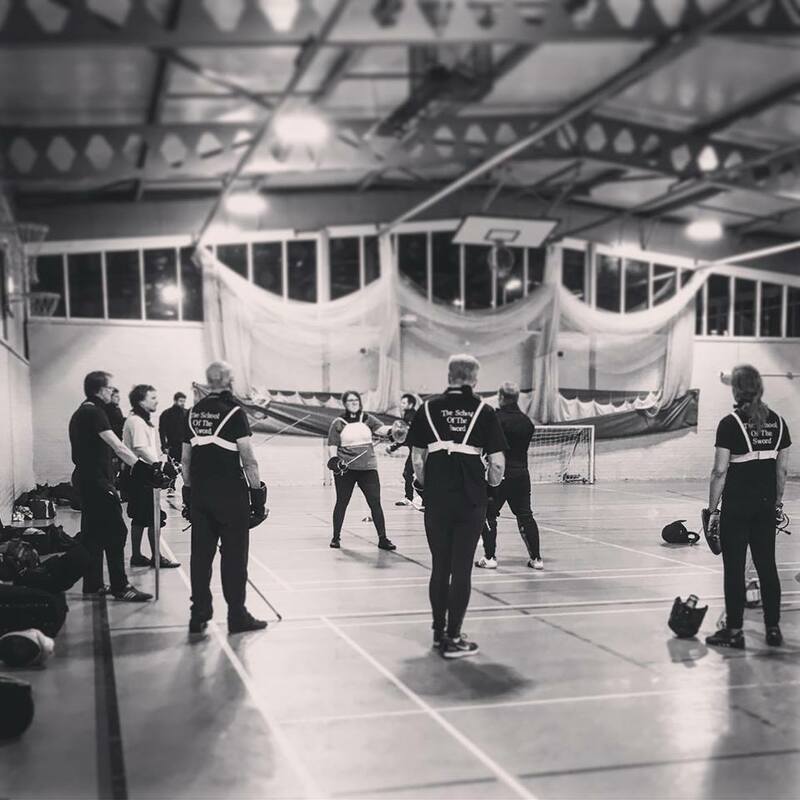 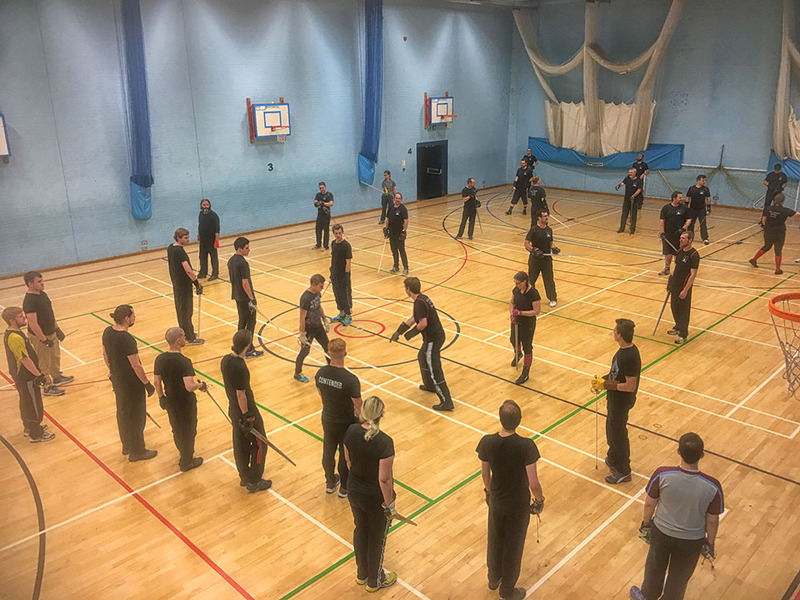 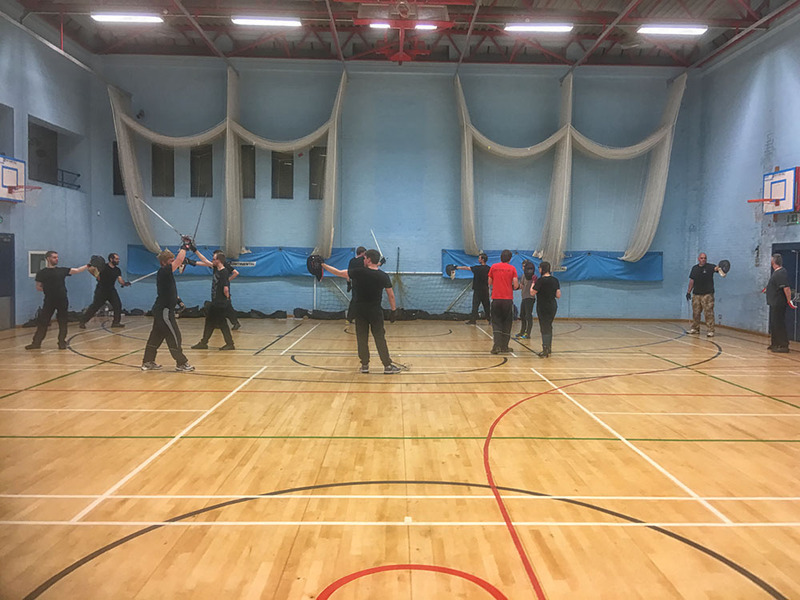 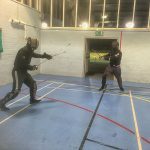 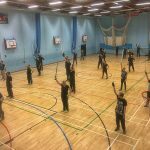 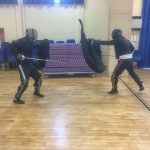 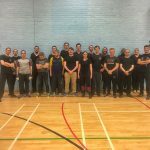 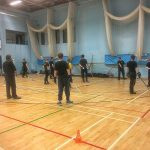 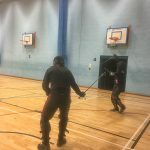 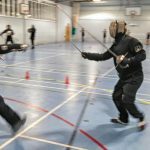 There was a multitude of weapon combinations crammed into our 2.5 hour session including rapier & dagger, sidesword & buckler, single sidesword, single rapier, rapier & cloak and even montante. 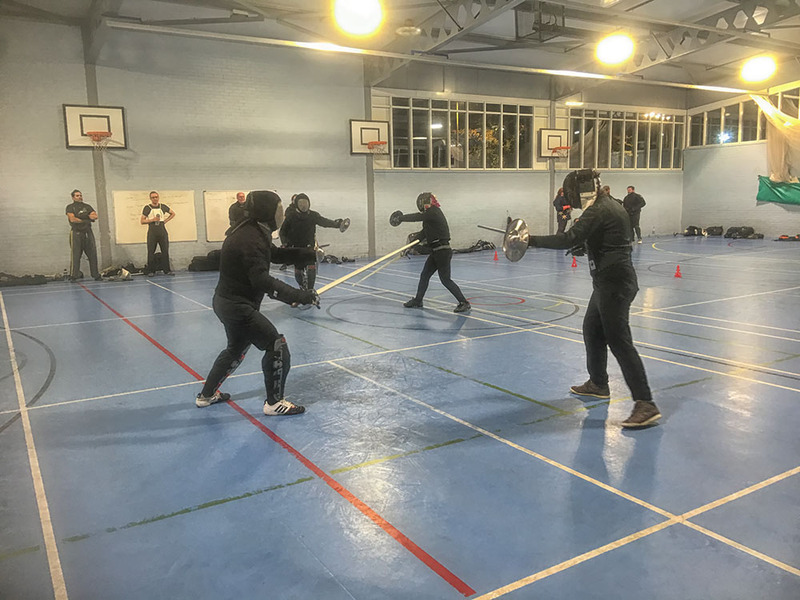 It was a very intense session on Wednesday night with a good level of concentration from all students despite getting very hot and sweaty. 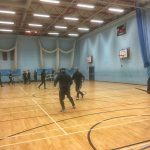 It was an eventful night in Reading on Monday with a lot of activity in each of our three teaching streams. 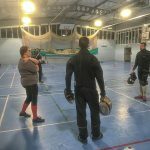 Sparring was back in Hawley on Sunday with a number of students from both our Reading and Godalming salles turning up to put techniques they’ve been using into practise. 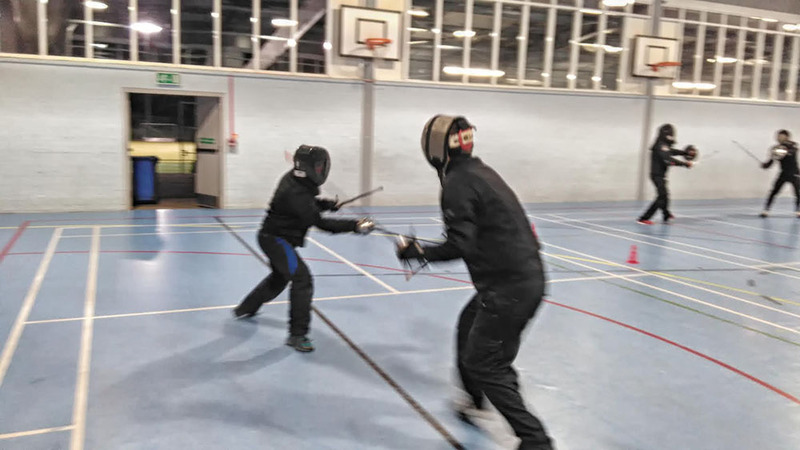 It was an intense session with a good mix of weapons including rapier & dagger, as well as sword & buckler. 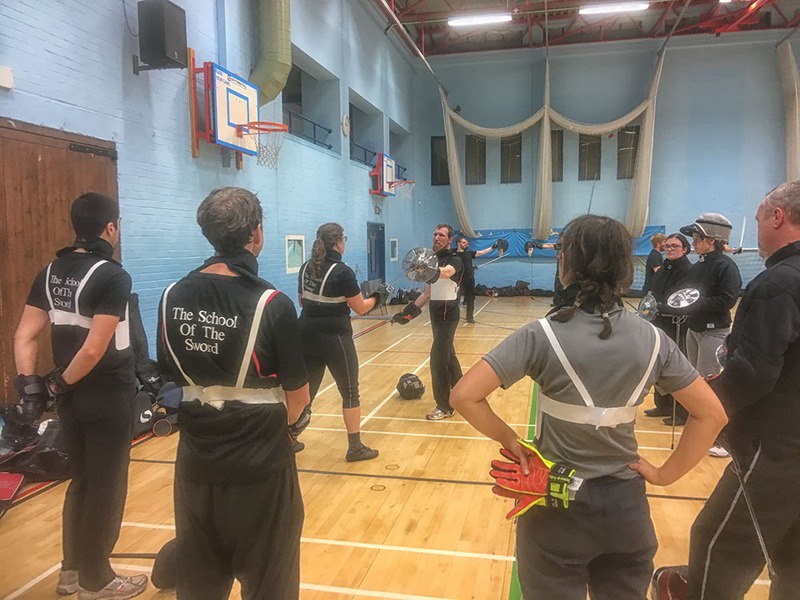 Our Godalming salle saw in September with a good turnout on Wednesday night with our usual three streams of training. 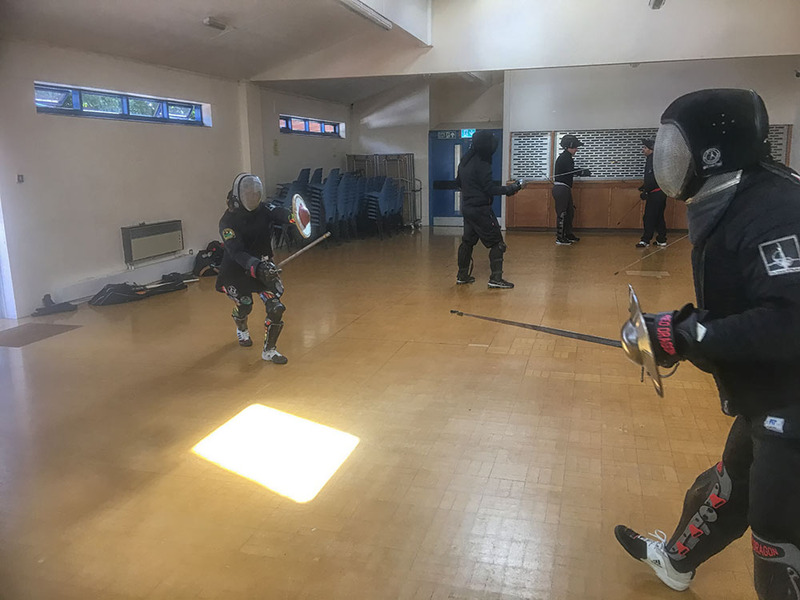 Lizzie worked with the Bolognese group on Manciolino’s attacks from coda lunga e stretta, Fran worked with the beginners progressing toward their safety test and Pim took the Rapier & Dagger group through footwork. 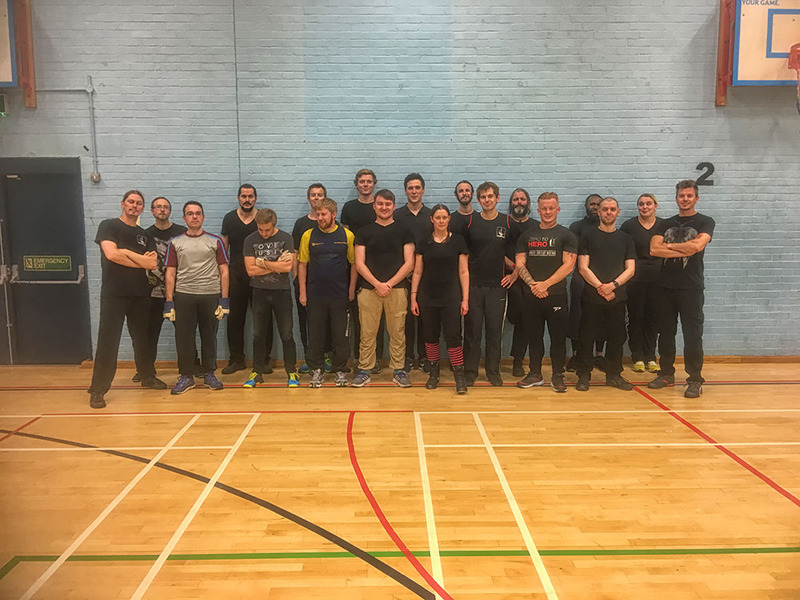 It was an extremely busy night at Reading on Monday night with twenty new students starting their six week beginners course, bringing our attendance for the evening to thirty-nine. 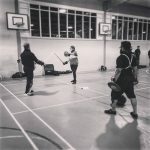 We only run these a few times a year, introducing people to the foundations of swordplay. 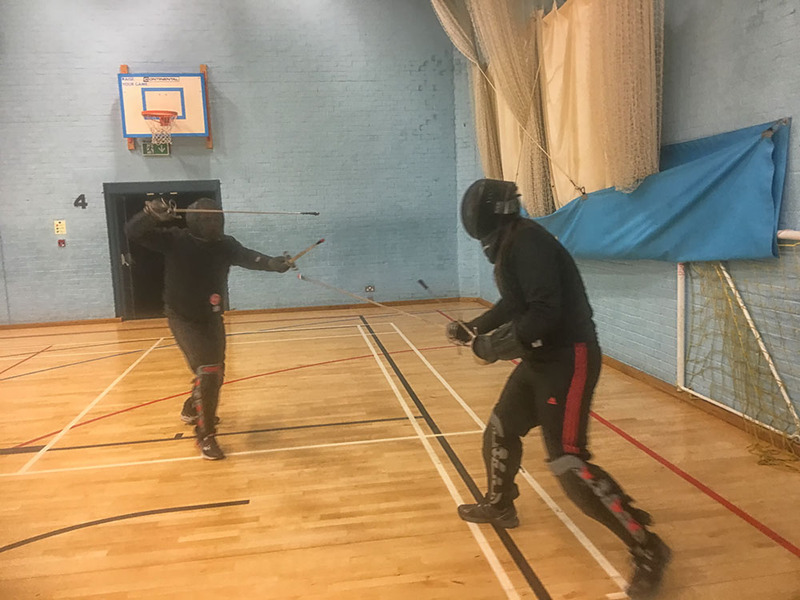 Wednesday saw our regular Godalming training session and despite it being holiday season there was again a great turnout. 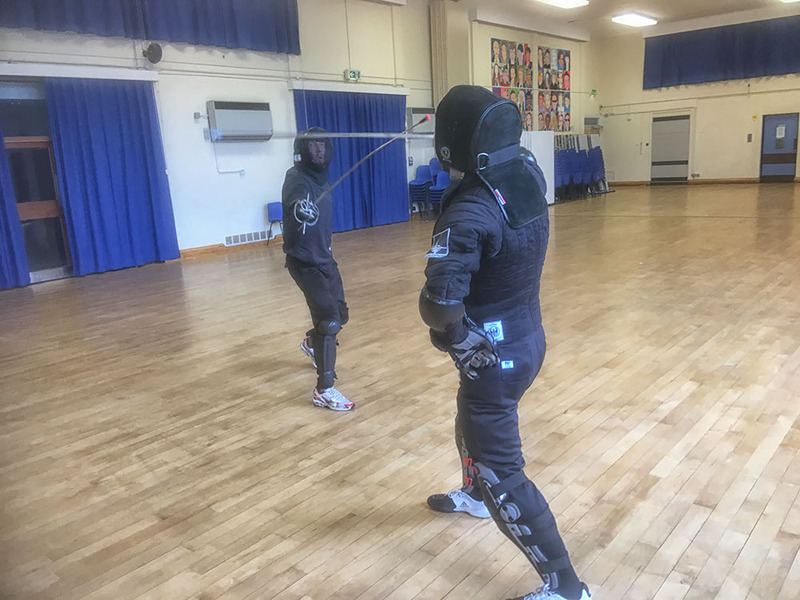 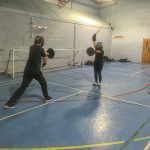 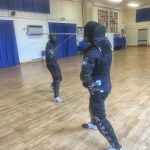 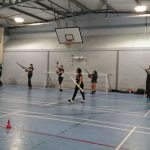 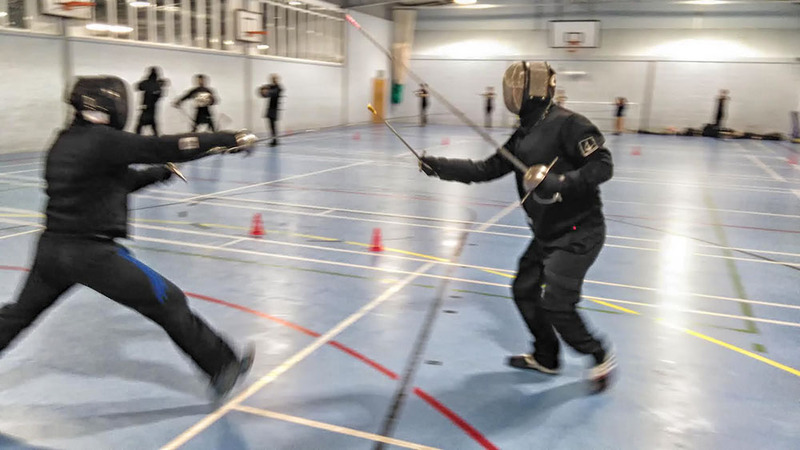 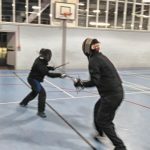 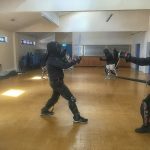 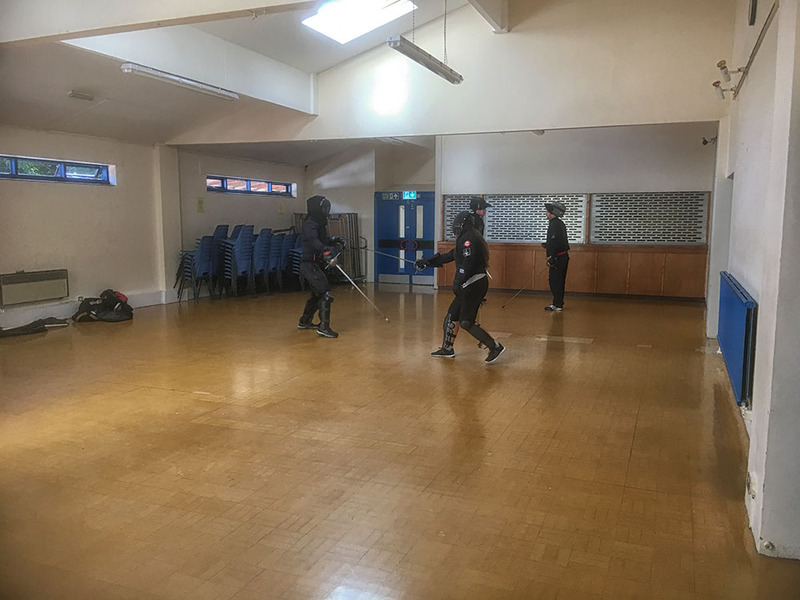 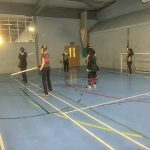 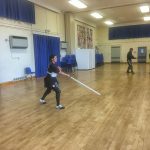 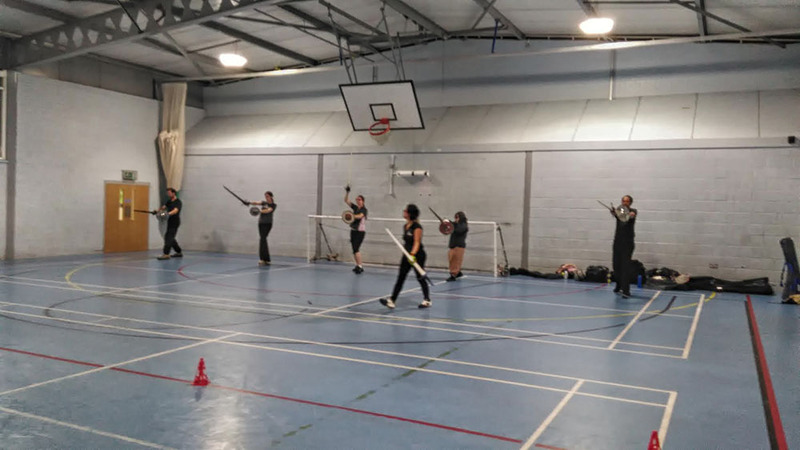 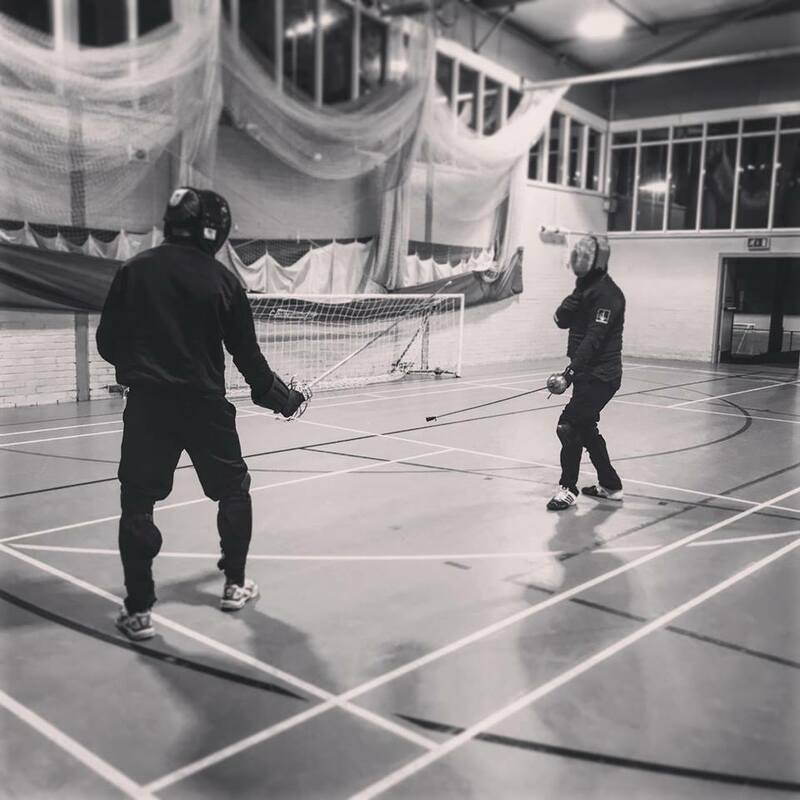 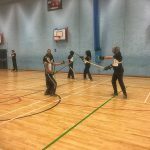 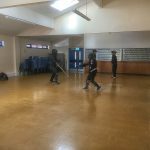 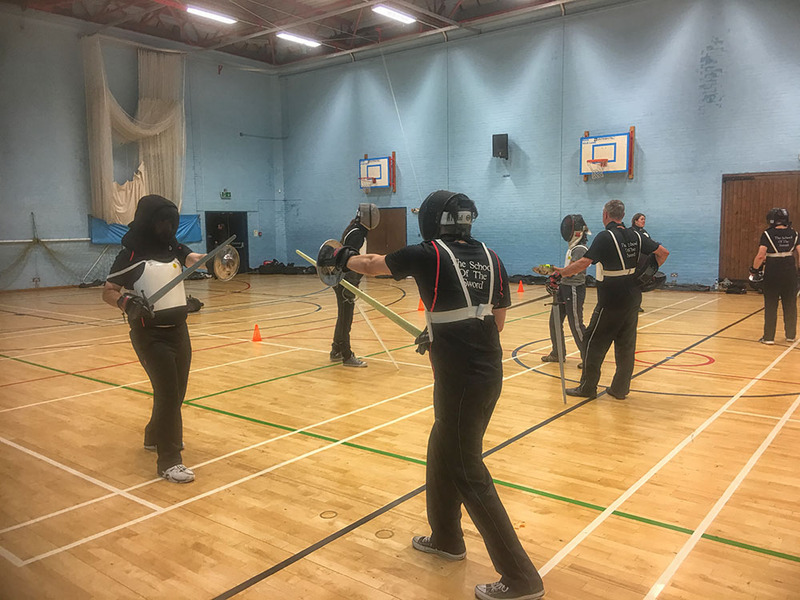 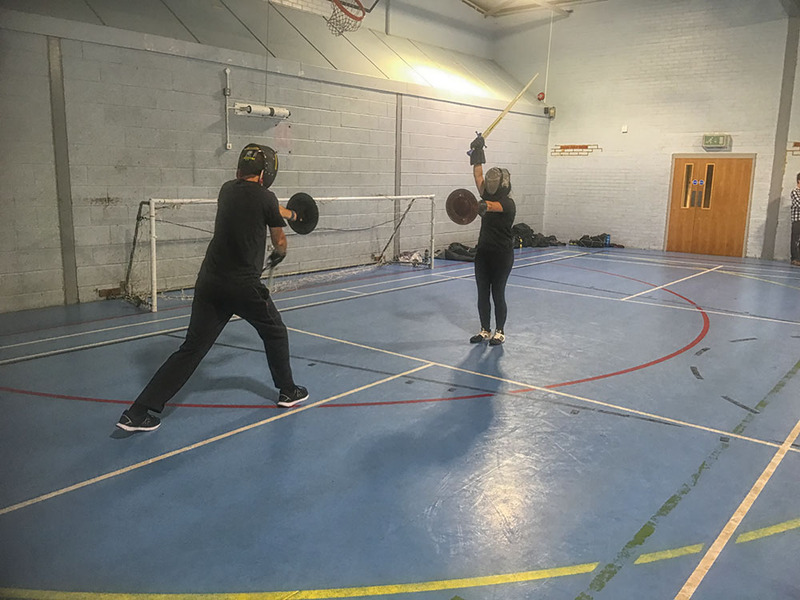 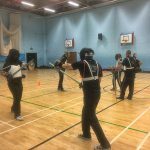 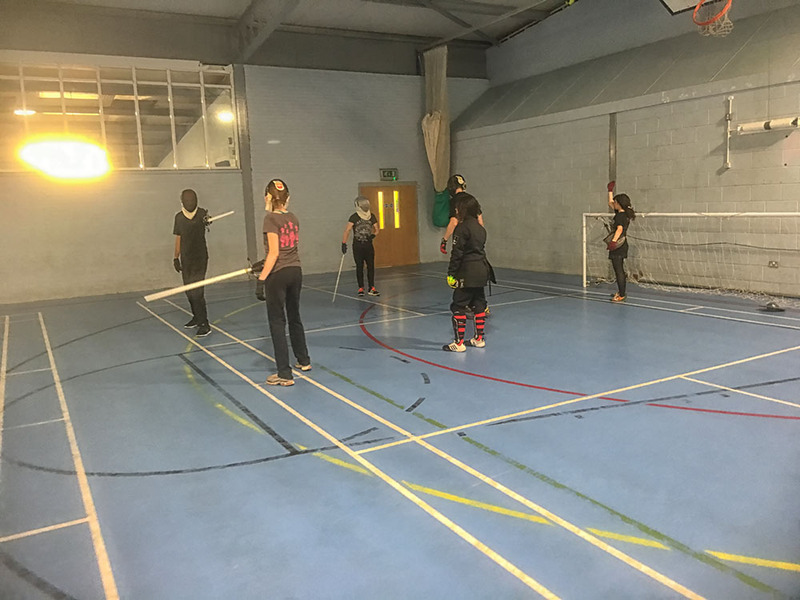 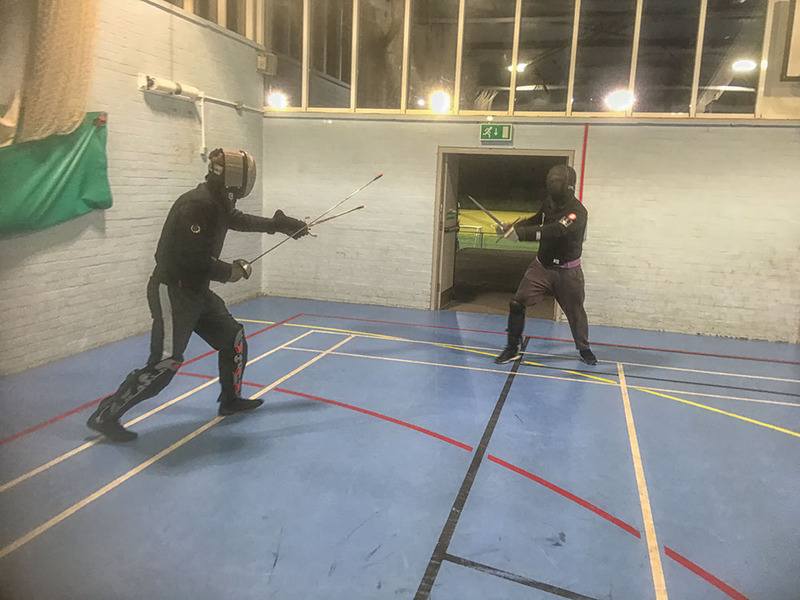 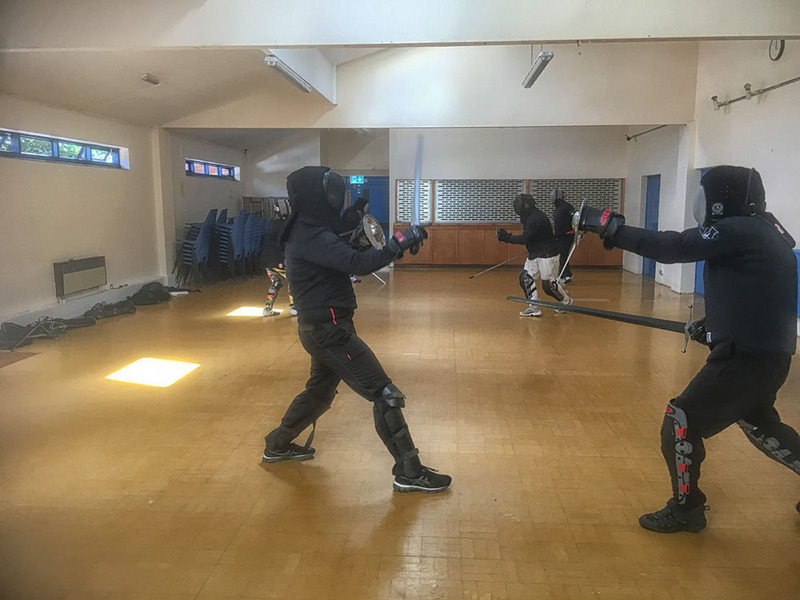 Pim took the rapier and dagger group through some footwork drills, Lizzie took the bolognese group and Fran progressed the beginners towards their safety test.